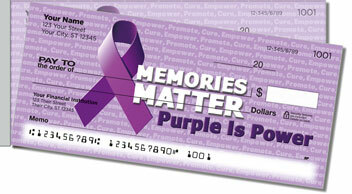 Alzheimer's disease affects more than just the person dealing with the condition. Family members and close friends also feel the impact. It can be painful, confusing and frustrating for all involved. 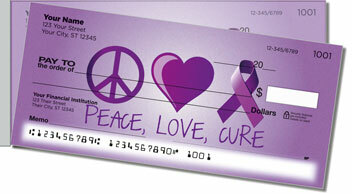 These checks honor are designed to honor more than the brave people who are battling Alzheimer's. They also pay tribute to the patient caregivers, understanding relatives and reassuring companions who make life better for those diagnosed with Alzheimer's or dementia. 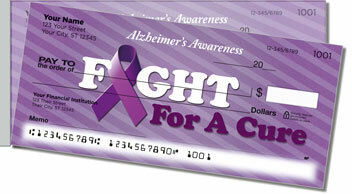 These checks will also make your life a little easier. A convenient perforation on the side makes accidental rips much less likely. 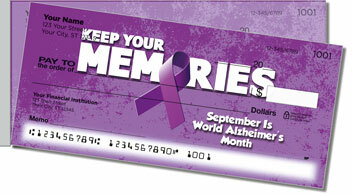 Order your own Alzheimer's Awareness Side Tear Checks today! 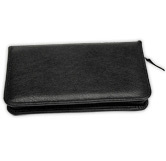 Matching address labels and checkbook covers are also available.